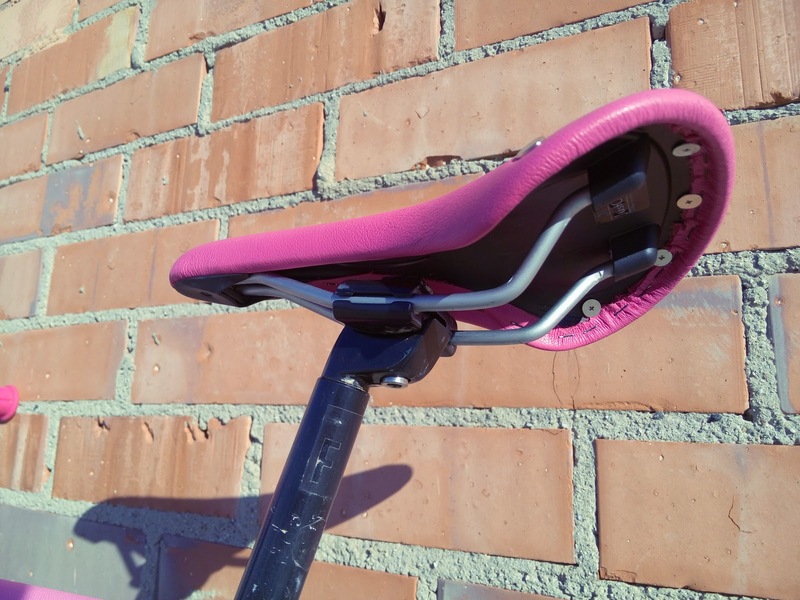 Hi riders, here we come again with more product reviews! 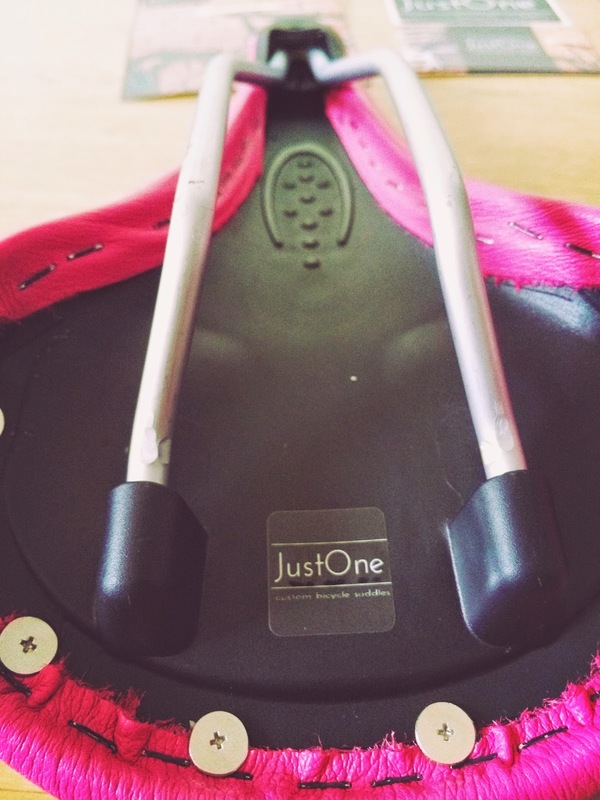 Do you remember our past post about our customized saddle created by JustOne? 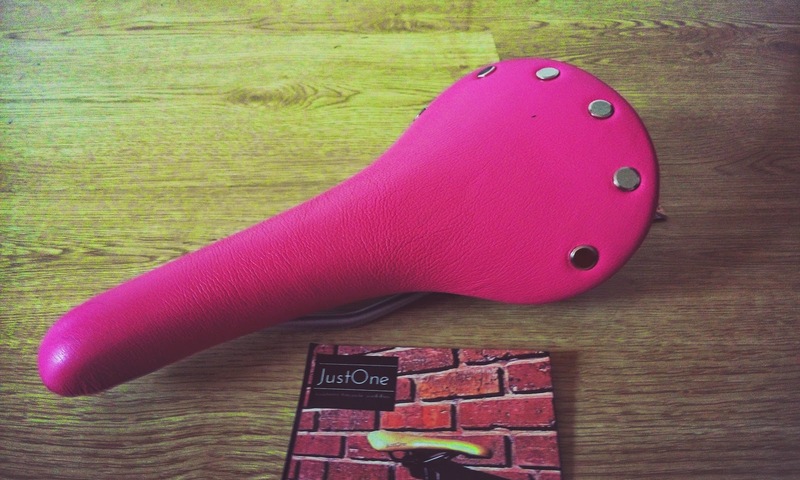 (link) In this case we want to show you a handmade saddle created by JustOne called Nu-Vin, and why this rare name? 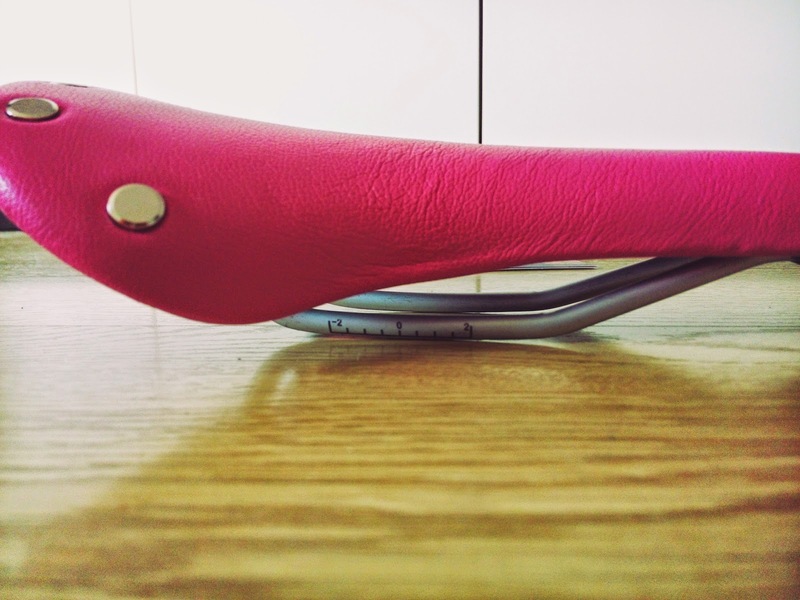 Well, Nu-Vin saddle is a modern feel with vintage style, and completely customized. 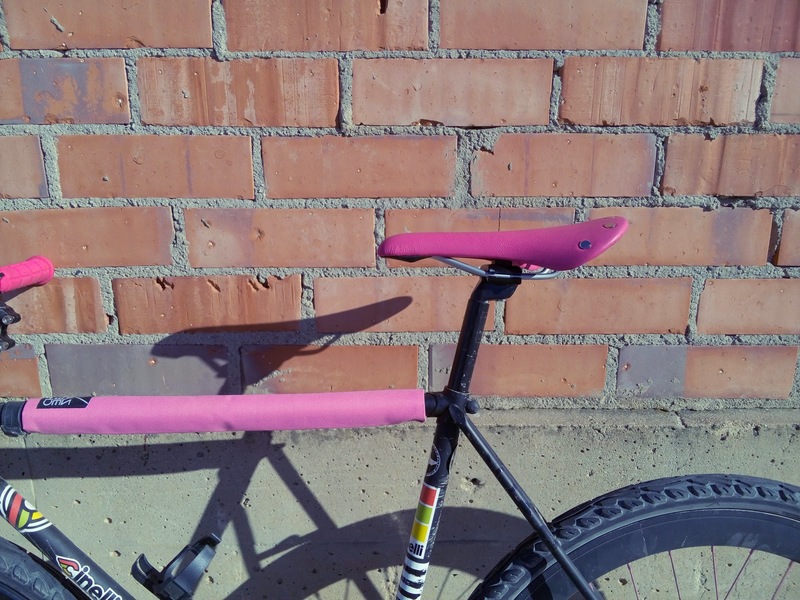 They developed the Nu-Vin saddle base on the very popular "Regal" saddle, with a mix of modern feel with wintage style. 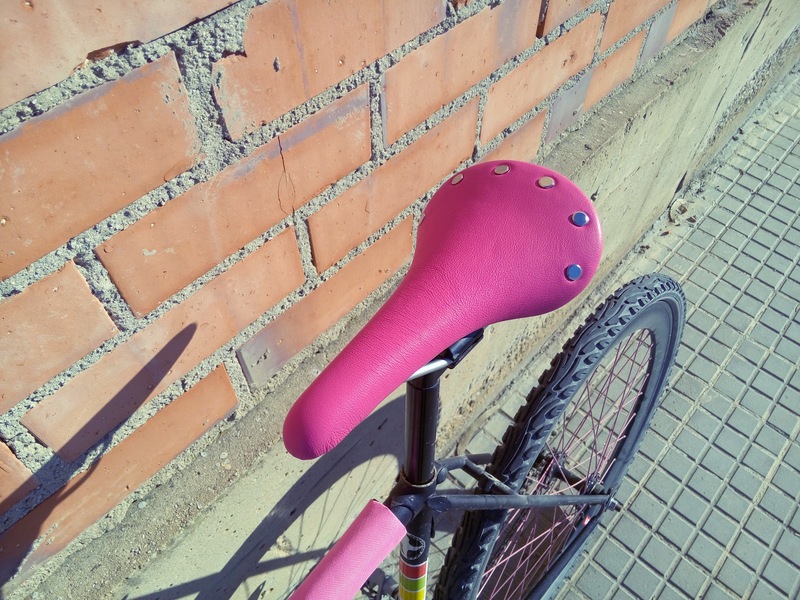 They worked with Leather Tanneries to develope a line of leather that is bast for the unique conditions of a bicycle saddle. 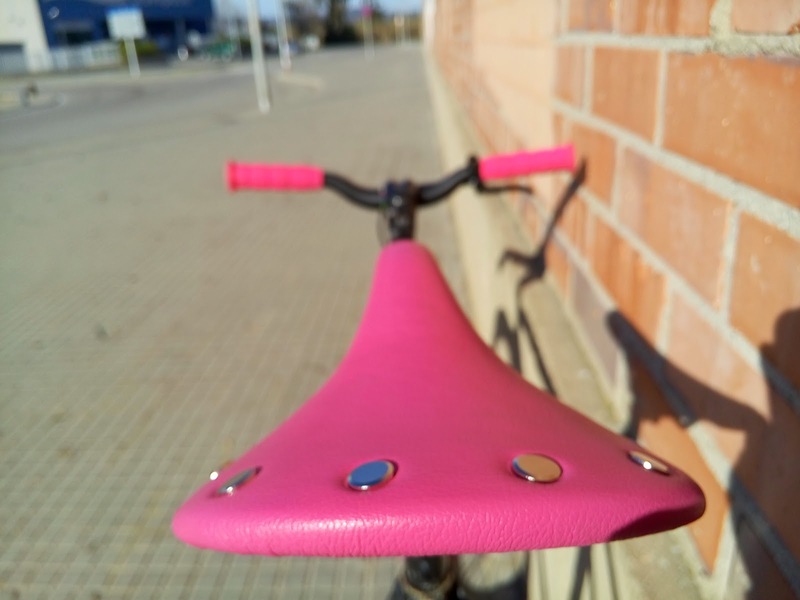 Beveled edge screw post made from solid brass finished in nickel plate (our model) or antique brass gives a classic vintage look to our bike. 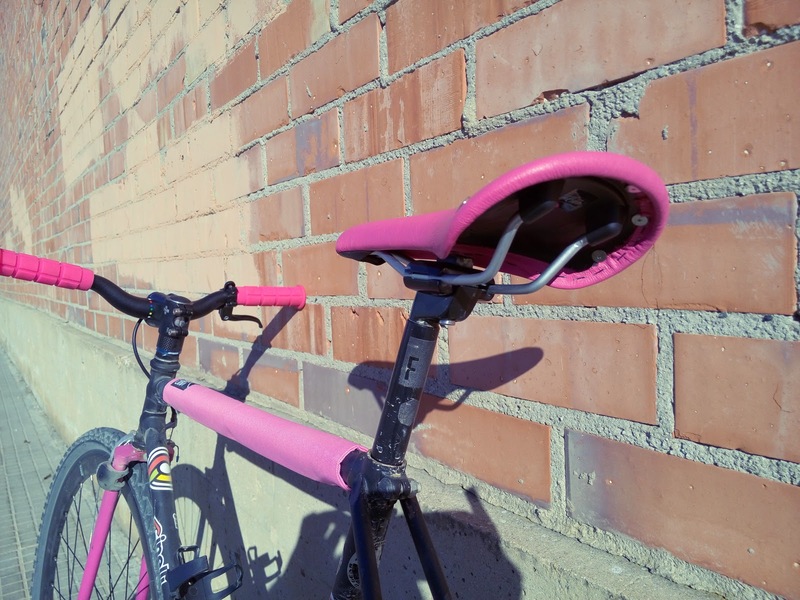 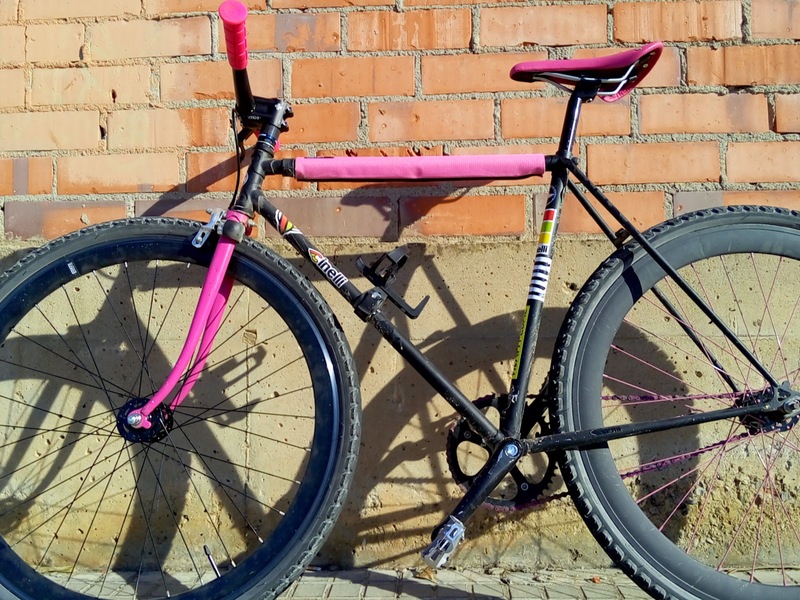 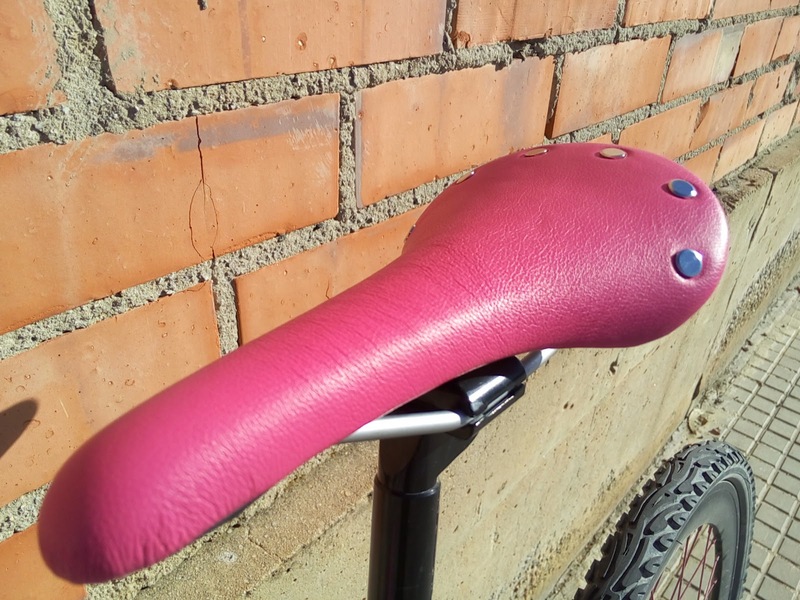 For us, we have customized the saddle with a hot pink leather (pink is our color as you sure know....), in few days we received in Spain the saddle really well packed to arrive in perfect conditions, no issues! 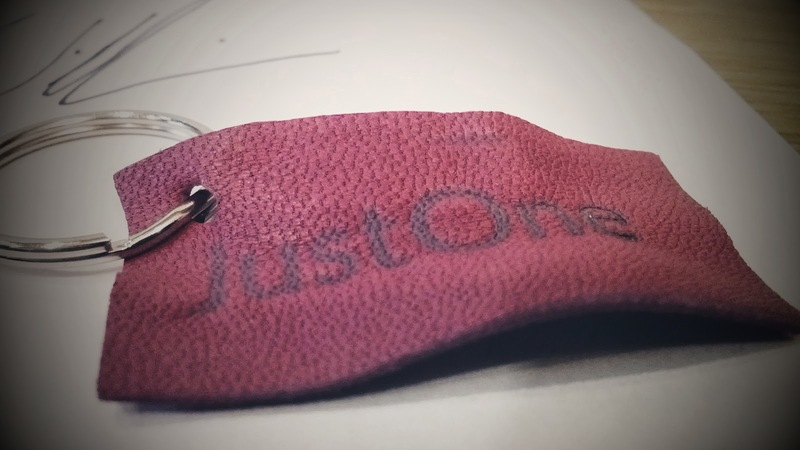 Comfortable shape, wider than other model from JustOne called Flat Top we use in our other fixie. 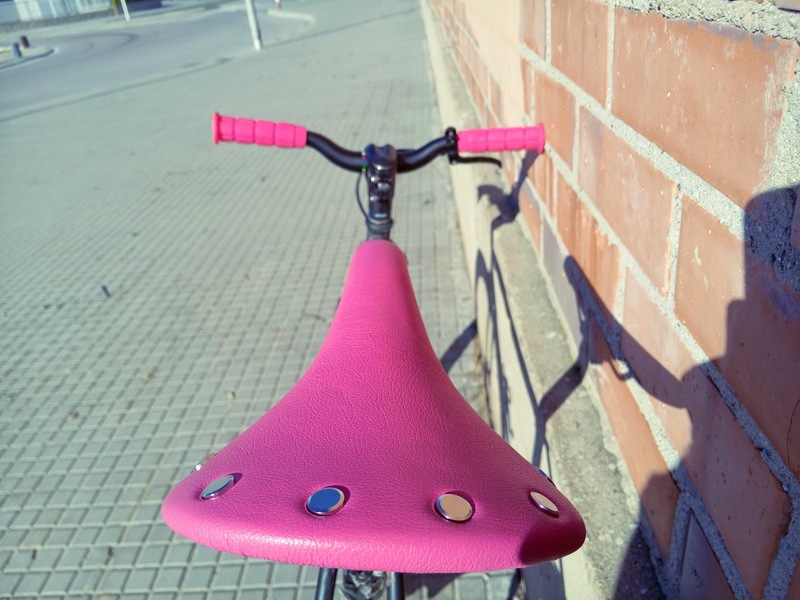 Completely customized, you choose the color talking with them, it's really easy! 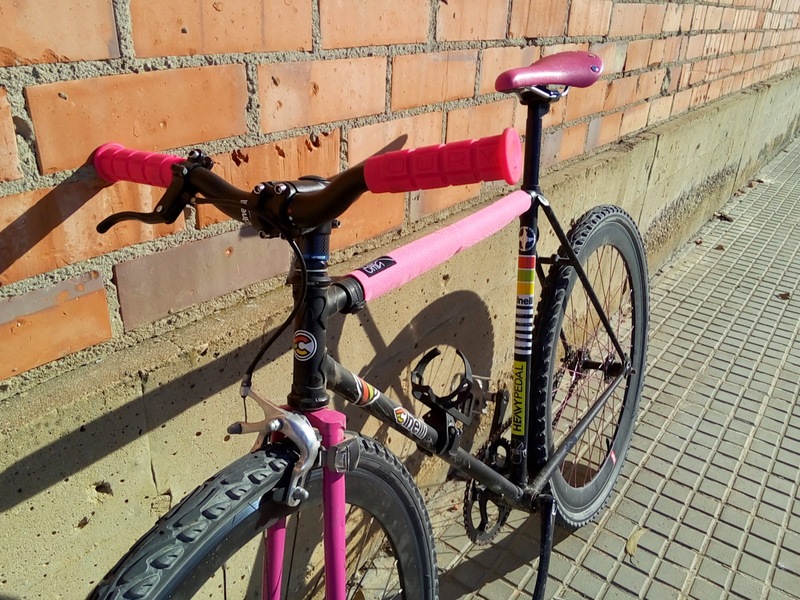 He offers the Race Sport, Comfort, Flat Top and Nu-Vin saddles. 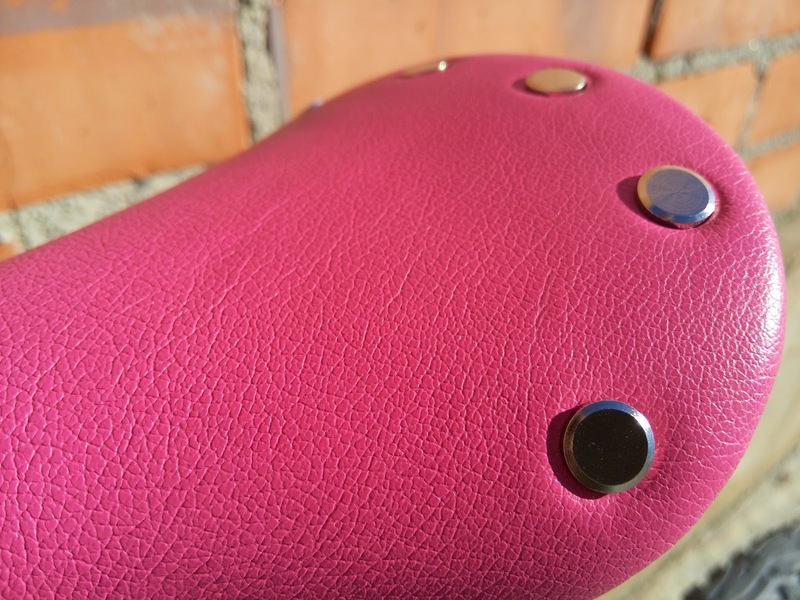 If you see a leather you like but want it built with one of the other saddle please let him know or request a custom order!